We believe that everyone deserves to be treated like royalty from time to time. That’s why here in Scotland, if visiting our ancient castles isn’t enough for you, why not stay overnight in some of them too? Whether you are looking for an extravagant adventure, or you just want to immerse yourself in Scotland’s history, we’ve got a castle stay that you’ll be talking about for years to come. There are even chances to camp in the grounds of some castles, if you’re looking for a more affordable option. Many castles offer great backdrops for life’s memorable moments, with parties, weddings and special events held in their grounds – always check their websites for specific details. This graceful 5-star luxury hotel comprises 17 extravagant bedrooms complete with Baronial architecture, an award-winning restaurant serving delicious Scottish produce and afternoon tea, and a picturesque location that overlooks the Isle of Arran and Ailsa Craig. The property is also suitable for weddings and exclusive use events. Tasteful décor, inspiring legends and hundreds of years of history combine to bring you a unforgettable stay in the north Highlands. Dornoch Castle is directly opposite the 12th century Dornoch Cathedral, and offers guests a decadent Highlands experience, complete with whisky tastings and the nearby Dornoch Golf Club, which celebrates 400 years of golf in 2016. If you can’t stay in the castle, you can always stay next door to it! Hoddom Castle is an uninhabited tower, which today offers a delightful backdrop for glampers and campers with ‘chill pods’. Or you can always pitch your tent or park your caravan in amongst the surrounding lush woodlands. There’s plenty to do with mountain biking trails and fishing nearby in the River Annan. 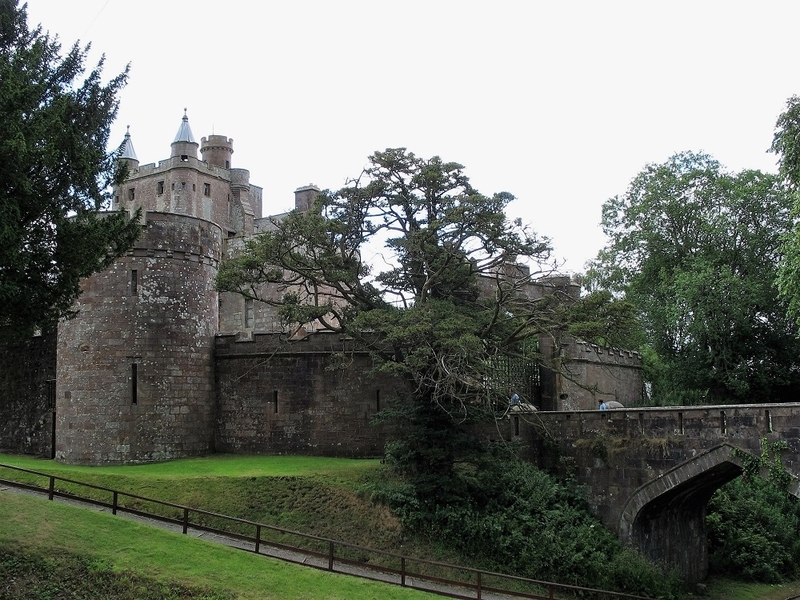 Scone Palace has lived through some pivotal moments in Scotland’s history. Nowadays, you can stay over in this beautiful self-catering apartment, which sleeps up to six people, and enjoys views over the palace’s grounds, the crowning place of generations of Scottish kings and queens. What about staying in a magnificent, fortified 16th century tower? Fenton Tower is located just 20 miles east of Edinburgh between Gullane and North Berwick. It has been lovingly restored to provide luxury accommodation for up to 12 people, with country sports and golf on offer to guests. Perched blissfully on the edge of Mull, the striking grounds of Glengorm Castle offers guests many unique accommodation options, including bed and breakfast rooms with stunning views, a night in the castle’s turrets, or a self-catering flat which sleeps six. With its cosy family feel, you’ll feel right at home. Looming over the northern coastline, Ackergill Tower is a far-flung gem of the Highlands. Enjoy roaring fires, beach wanders and perhaps some paddles in the ocean, before settling down for an amazing night’s sleep. Have you stayed in a castle in Scotland? Post your experiences, pictures and recommendations here. Glengorm is beautiful and reasonably priced too. I've not stayed yet but it's on my Mull list. Ackergill is another I want the stay at. That clifftop location is spectacular. It's such a stunning part of Scotland and too often overlooked. I went camping to Hoddom Castle many years ago! The toilets were the best camping toilets I've ever been in. They were part of the castle and huge! Spooky at night though ... I see the campsite has some really fancy chill pods for camping now! It's a lovely place to go camping . I'm from Aberdeen and didn't know that you could rent these out, amazing if a group went. I grew up going to every weekend and now been to every Scottish castle or a ruin in Scotland (and nothern England) which is a favourite pass time now. I love the castles and going to the walks round the grounds are just as important. Wow sounds like you will have done all the castles on Scotland's Castle Trail. Aberdeenshire is so lucky to have such history.Any tips and what's your favourite? I grew up in the tiny, but historically steeped, village of Kilmartin in Mid-Argyll, and have recently discovered that the old 16th century castle there is now converted and available to rent. It sleeps 6, seems reasonably priced, and would be prefect for a more intimate retreat experience. 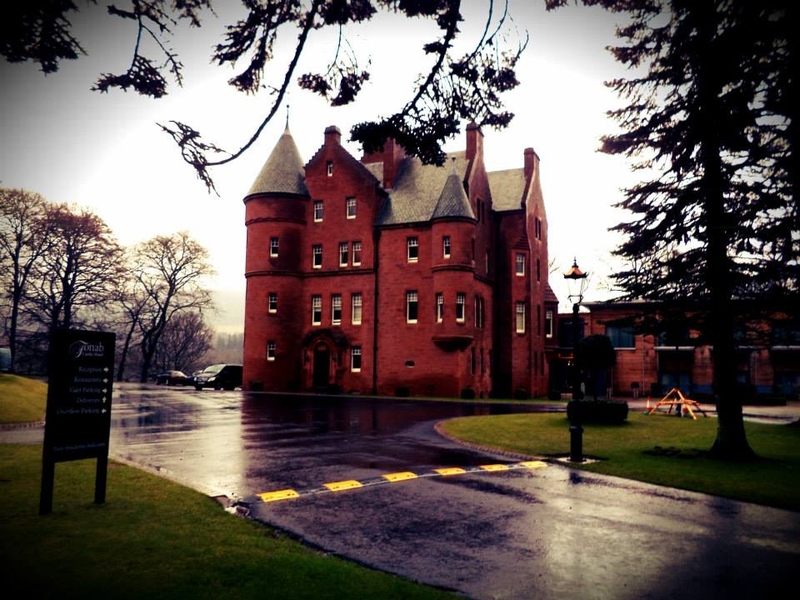 Fonab Castle in Pitlochry offers a 5 star luxury experience, with a very modern twist. Perfect if you want a mix of new and old. I believe they now have a spa too. Balvaird Apartment in Scone Palace looks absolutely beautiful. I'd love pretending to be royalty, staying in a Scottish castle! Three years ago my husband and I stayed at Stobo Castle near Peebles in the Scottish Borders - an hour from Edinburgh. It is essentially a spa destination in a wonderful and very relaxing setting. It is possible to go there for a day spa too. Meals are included in the price and the food was excellent. We were lucky to have great weather (28 celsius) which made the hot tub less appealing but we did it regardless! A word of warning, there are not many male guests around, it is more for groups of ladies treating themselves! I stayed at Ackergill Tower near Wick a couple of years ago in December - what a wonderful place! You really feel like it's your own country home for the duration of your stay. Food was also amazing and staff so helpful. I cannot recommend it highly enough!